The Optima is fast, quiet, and reliable, with a carbon steel blade that gives pencils a smooth, sharp point. It accommodates six different pencil sizes, including triangular student pencils. 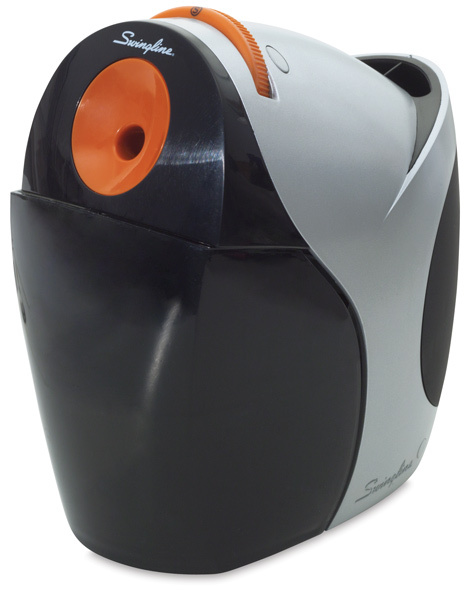 A lead saver feature prevents over-sharpening, while a thermal cutoff prevents overheating. ® Swingline is a registered trademark.® Optima is a registered trademark.